I've been keeping this one under wraps until I could get it gifted but now I can finally share. I originally planned this as a larger version of my Keeping It Together quilt, a mix of 9 patch blocks interspersed with wonky 9 patches. I'm not good at repeating myself and eventually I got bored with the original design so I started adding other blocks. My favorite is the wonky star/starfish. 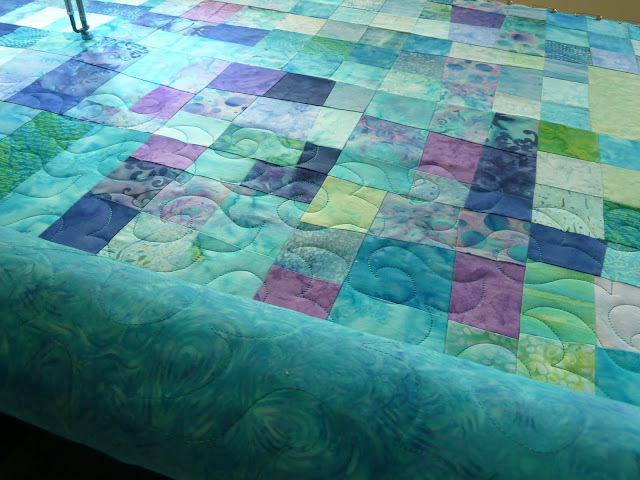 I quilted this at Laurena's longarm. 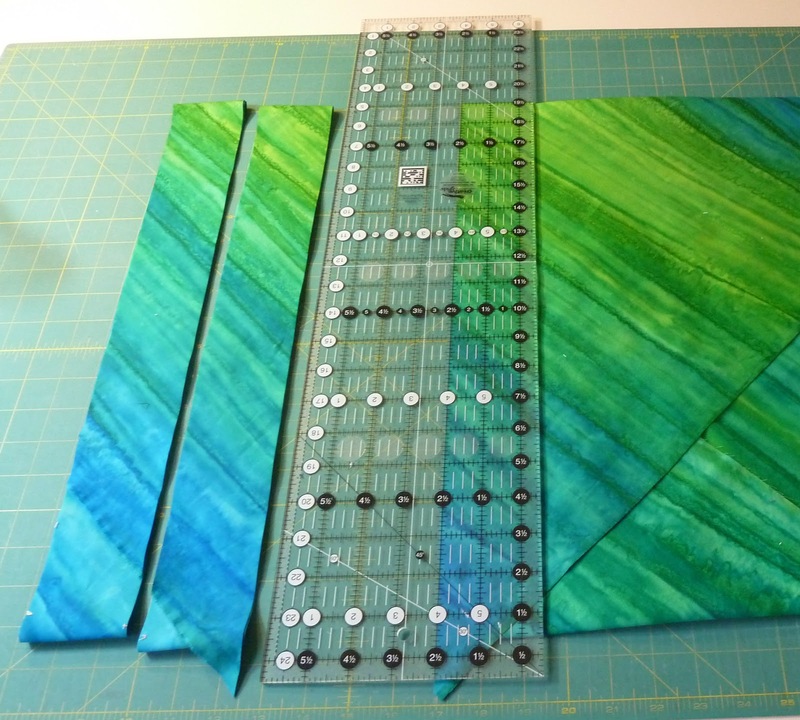 This simple wavy pantograph was the perfect way to ease back into using the longarm. 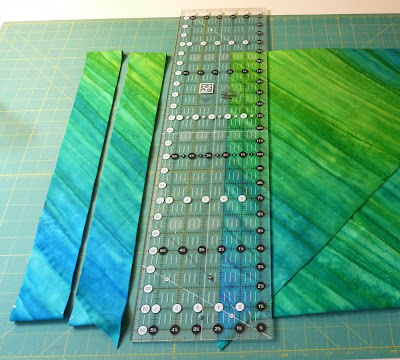 It's been awhile since I made bias binding. I love this funky fold technique!!! 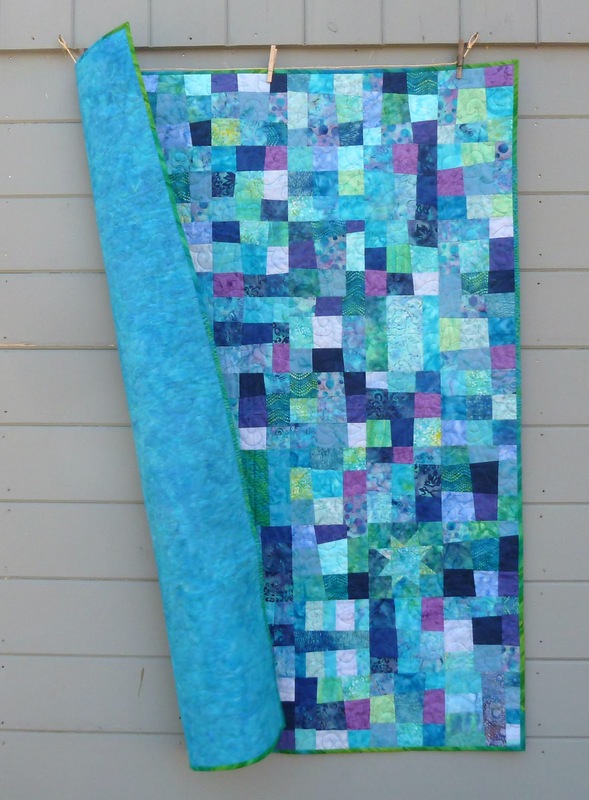 I pieced in a couple of strips of the school of fish fabric, it feels like they're swimming out of the quilt. This would have been better with a beachy photo shoot but in the interest of getting it gifted I had to go with a frigidly cold day. Here I managed to catch a well timed guest of wind to show off the back. Checking in with this week's Finish it Up Friday by Crazy Mom Quilts and a finish for Q1 of the 2016 Finish Along. 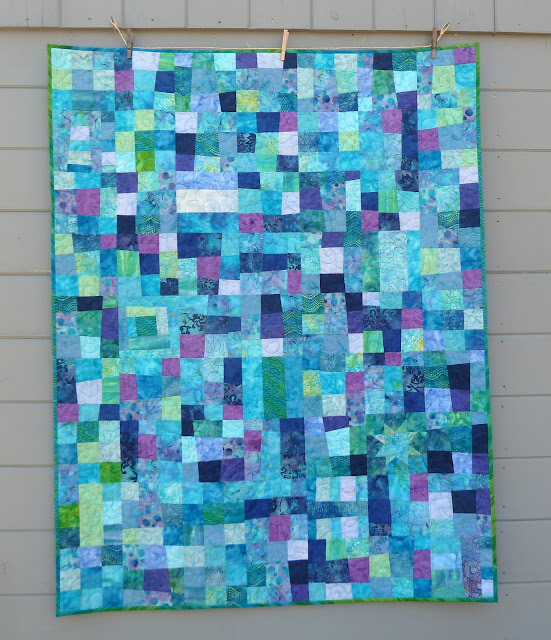 Finished quilt is 49" x 62"
Fabrics: Assorted batiks from stash. Pantograph: Happy Times by Hermione Agee. Batting: Quilter's Dream Orient Bamboo. Thread: King Tut De Nile (#927). Very pretty, I love these batik fabrics and colors! Lovely! Thank you so much for participating in the Finish-A-Long, on behalf of the 2016 hosts!